It’s so new it hasn’t even got a Wiki page yet. 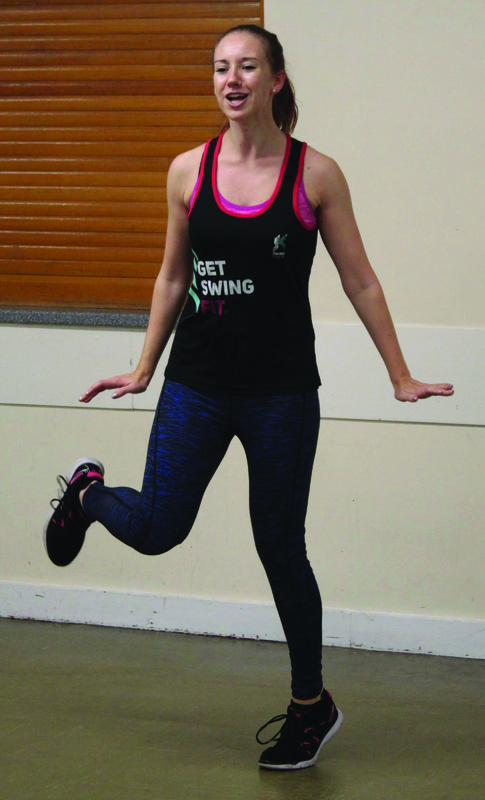 But Swing Train – dance/fitness set to belting Charleston, swing, gospel, electro-swing and jazz tunes – has reached Norfolk from London thanks to Sprowston resident and former North Walsham-area schoolgirl Becky Powell. With the growing popularity of vintage fashion and music Becky hopes those who love that era, and anyone looking for a new, strictly-fun way to work out, will give it a whirl. Swing Train borrows moves from vintage dance styles such as lindy hop which are blended into a cardio workout suitable for all levels of fitness. Becky, who grew up in Worstead, discovered it while living in London where she trained as an instructor in several forms of fitness. She has been dancing, and loving it, since joining the north Norfolk-based Footnotes school as a 12-year-old. Later, as a student, she was an active member of York University’s ballet society. Initially, it didn’t look as though Becky would follow her feet into a career. An academic high-flyer, she gained four As at A-level and went on to graduate from York with a first-class honours degree in maths and physics. 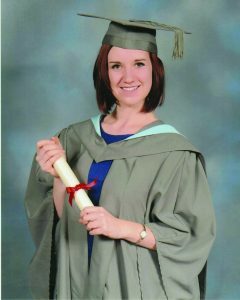 Convinced she wanted to become a school teacher, Becky studied for her post-graduate certificate of education at Cambridge University and landed a job at a primary school near Watford. She left to take up a post as an “explainer” at the Science Museum in London, spending 18 months bursting balloons, blowing bubbles and breaking eggs to help children understand everything from why it hurts to sit on one nail but not hundreds, and the manufacture of poo in the digestive system. Next came a brief spell back at university when Becky began and soon gave up an MSc degree course in aerodynamics and advanced computation. After a lot of soul-searching, she then decided to follow her passion and become a dance/fitness teacher. Becky funded her training in London with a part-time job and gained qualifications as an instructor in Swing Train, Booty Barre and bbarreless – the last two being combinations of dance, pilates and yoga. Since moving back to Norfolk Becky has started teaching at White House Farm, Sprowston; County Hall, Norwich; and in North Walsham, where she also runs an adult beginners’ tap-dancing class. “I absolutely love it all,” she said. “Dance and fitness make me feel free and wonderful and I love passing on that passion. Visit: https://www.inertiafitness.co.uk, email becky@inertiafitness.co.uk or text/call: 07748300091. This entry was posted in Home Page, North Walsham, Sprowston and tagged bbarreless, Booty Barre, County Hall, Footnotes School of Dance, norfolk, North Walsham, Sprowston, Swing Train, White House Farm, York University Ballet Society on November 9, 2018 by Gay Webster.